This special 50th log-entry is dedicated to 2 special people and scientists who inspired (and guided) me in the hard task of starting and writing this blog. I was a mere undergraduate in the early years of the internet in my country when I began to read his TWF. If you have never done it, I urge to do it. Read him. He is a wonderful teacher and an excellent lecturer. John is now worried about global warming and related stuff, but he keeps his mathematical interests and pedagogical gifts untouched. I miss some topics about he used to discuss often before in his hew blog, but his insights about virtually everything he is involved into are really impressive. He also manages to share his entusiastic vision of Mathematics and Science. From pure mathematics to physics. He is a great blogger and scientist! He is a very active person in the world of Spanish Science (and its divulgation). In his blog, he also tries to explain to the general public the latest news on HEP and other topics related with other branches of Physics, Mathematics or general Science. It is not an easy task! Some months ago, after some time reading and following his blog (as I do now yet, like with Baez’s stuff), I realized that I could not remain as a passive and simple reader or spectator in the web, so I wrote him and I asked him some questions about his experience with blogging and for advice. His comments and remarks were incredibly useful for me, specially during my first logs. I have followed several blogs the last years (like those by Baez or Villatoro), and I had no idea about what kind of style/scheme I should addopt here. I had only some fuzzy ideas about what to do, what to write and, of course, I had no idea if I could explain stuff in a simple way while keeping the physical intuition and the mathematical background I wanted to include. His early criticism was very helpful, so this post is a tribute for him as well. After all, he suggested me the topic of this post! I encourage you to read him and his blog (as long as you know Spanish or you can use a good translator). Finally, let me express and show my deepest gratitude to John and Francis. Two great and extraordinary people and professionals in their respective fields who inspired (and yet they do) me in spirit and insight in my early and difficult steps of writing this blog. I am just convinced that Science is made of little, ordinary and small contributions like mine, and not only the greatest contributions like those making John and Francis to the whole world. I wish they continue making their contributions in the future for many, many years yet to come. Now, let me answer the question Francis asked me to explain here with further details. My special post/log-entry number 50…It will be devoted to tell you why this blog is called The Spectrum of Riemannium, and what is behind the greatest unsolved problem in Number Theory, Mathematics and likely Physics/Physmatics as well…Enjoy it! The Riemann zeta function is a device/object/function related to prime numbers. Generally speaking, the Riemann zeta function extended by analytical continuation to the whole complex plane is “more” than the classical Riemann zeta function that Euler found much before the work of Riemann in the XIX century. The Riemann zeta function for real and entire positive values is a very well known (and admired) series by the mathematicians. due to the divergence of the harmonic series. Zeta values at even positive numbers are related to the Bernoulli numbers, and it is still lacking an analytic expression for the zeta values at odd positive numbers. 2) . The harmonic series is divergent. 3) . The famous Euler result. 4) . And odd zeta value called Apery’s constant that we do not know yet how to express in terms of irrational numbers. 6) . 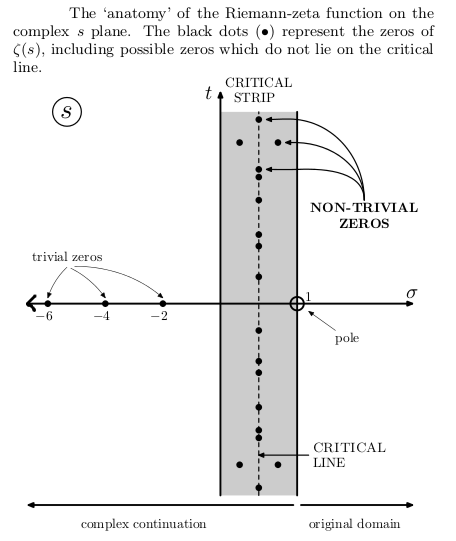 Trivial zeroes of zeta. 8) We note that . 10) . The Riemann zeta value at the infinity is equal to the unit. 12) . This is a result used by theoretical physicists in dimensional renormalization/regularization. is the so-called Euler-Mascheroni constant. 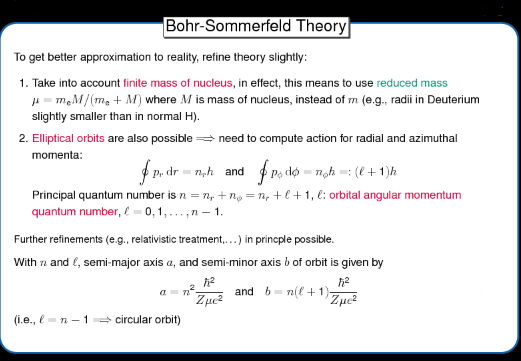 Remark (II): The fact that is finite implies that the energy level separation of the hydrogen atom in the Böhr level tends to zero AND that the sum of ALL the possible energy levels in the hydrogen atom is finite since is finite. 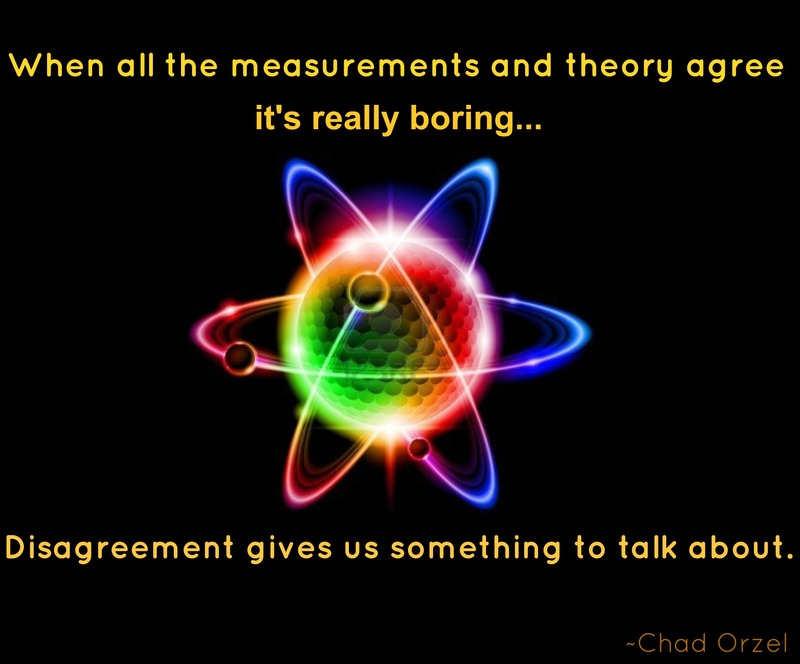 Remark(III): What about an “atom”/system with spectrum ? If , we do know that is the case of the Kepler problem. 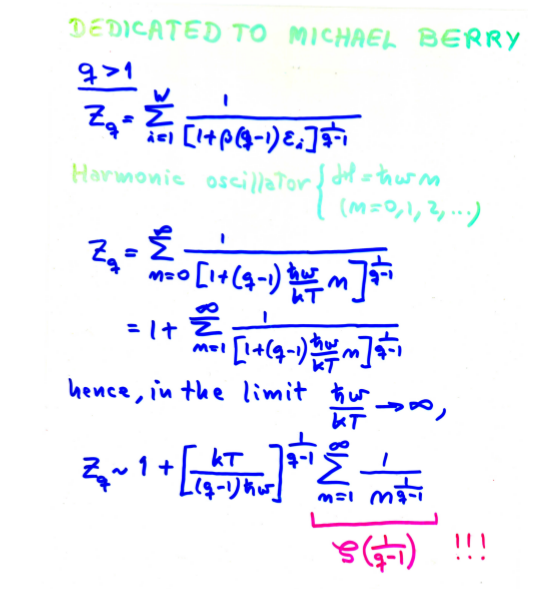 Moreover, it is easy to observe that corresponds to tha harmonic oscillator, i.e., . We also know that is the infinite potential well. So the question is, what about a spectrum and so on? 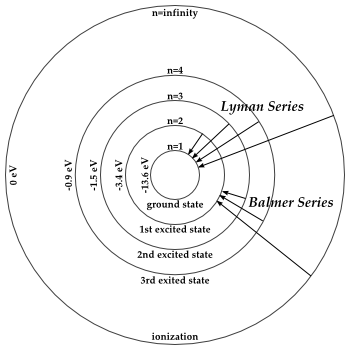 exist in Nature for some physical system beyond the infinite potential well, the harmonic oscillator or the hydrogen atom, where , and respectively? It is amazing how Riemann zeta function gets involved with a common origin of such a different systems and spectra like the Kepler problem, the harmonic oscillator and the infinite potential well! If you want to know how the Riemann zeroes sound, M. Watkins has done a nice audio file to see their music. and where is the celebrated Gauss prime number counting function, i.e., represents the prime numbers that are equal than x or below. This explicit formula was proved by Hadamard. The explicit formula follows from both product representations of , the Euler product on one side and the Hadamard product on the other side. Remark: Please, don’t confuse the logarithmic integral with the polylogarithm function . of the Riemann zeta function corresponded to eigenvalues of an unbounded and unknown self adjoint operator . That statement was never published formally, but it was remembered after all, and it was transmitted from one generation to another. At the time of Pólya’s conversation with Landau, there was little basis for such speculation. However, Selberg, in the early 1950s, proved a duality between the length spectrum of a Riemann surface and the eigenvalues of its Laplacian. This so-called Selberg trace formula shared a striking resemblance to the explicit formula of certain L-function, which gave credibility to the speculation of Hilbert and Pólya. In a posterior development that has given substantive force to this approach to the Riemann hypothesis through functional analysis and operator theory, the mathematician Alain Connes has formulated a “trace formula” using his non-commutative geometry framework that is actually equivalent to certain generalized Riemann hypothesis. This fact has therefore strengthened the analogy with the Selberg trace formula to the point where it gives precise statements. However, the mysterious operator believed to provide the Riemann zeta zeroes remain hidden yet. Even worst, we don’t even know on which space the Riemann operator is acting on. Indeed, the Berry-Keating conjecture opened another striking attack to prove the RH. A topic that was popular in the 80’s and 90’s in the 20th century. The weird subject of “quantum chaos”. Quantum chaos is the subject devoted to the study of quantum systems corresponding to classically chaotic systems. The Berry-Keating conjecture shed light further into the Riemann dynamics, sketching some of the properties of the dynamical system behind the Riemann Hypothesis. 1st. The quantum hamiltonian operator behind the Riemann zeroes, in addition to the classical counterpart, the classical hamiltonian , has a dynamics containing the scaling symmetry. As a consequence, the trajectories are the same at all energy scale. 2nd. 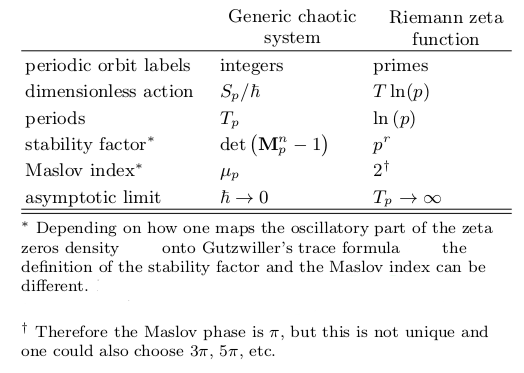 The classical system corresponding to the Riemann dynamics is chaotic and unstable. 3rd. The dynamics lacks time-reversal symmetry. 4th. The dynamics is quasi one-dimensional. In 2001, the following paper emerged, http://arxiv.org/abs/nlin/0101014. The Riemannium arxiv paper was published later (here: Reg. Chaot. Dyn. 6 (2001) 205-210). After that, Brian Hayes wrote a really beautiful, wonderful and short paper titled The Spectrum of Riemannium in 2003 (American Scientist, Volume 91, Number 4 July–August, 2003,pages 296–300). I remember myself reading the manuscript and being totally surprised. I was shocked during several weeks. I decided that I would try to understand that stuff better and better, and, maybe, make some contribution to it. The Spectrum of Riemannium was an amazing name, an incredible concept. So, I have been studying related stuff during all these years. And I have my own suspitions about what the riemannium and the zeta function are, but this is not a good place to explain all of them! 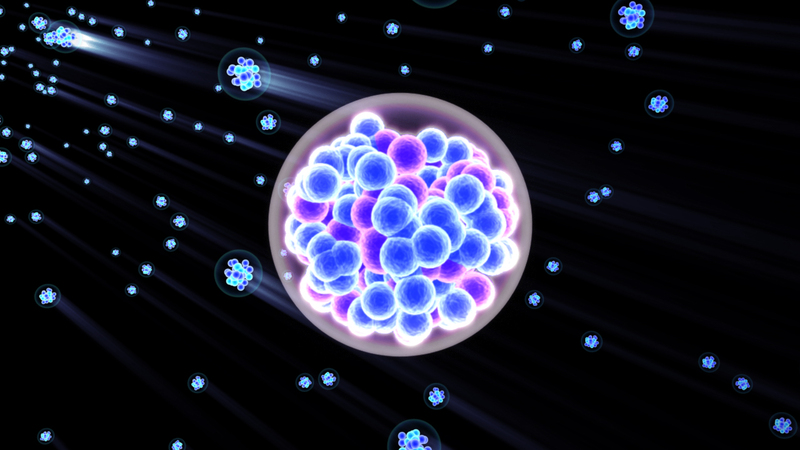 The riemannium is the mysterious physical system behind the RH. Its spectrum, the spectrum of riemannium, are given by the RH and its generalizations. What do you think? Isn’t it suggestive? Is it amazing? The dimensional renormalization/regularization of the SM makes use of the Riemann zeta function as well. It is ubiquitous in that approach, but, as far as I know, nobody has asked why is that issue important, as I have suspected from long time ago. Riemann zeta function is also used in the theory of Quantum Statistics. 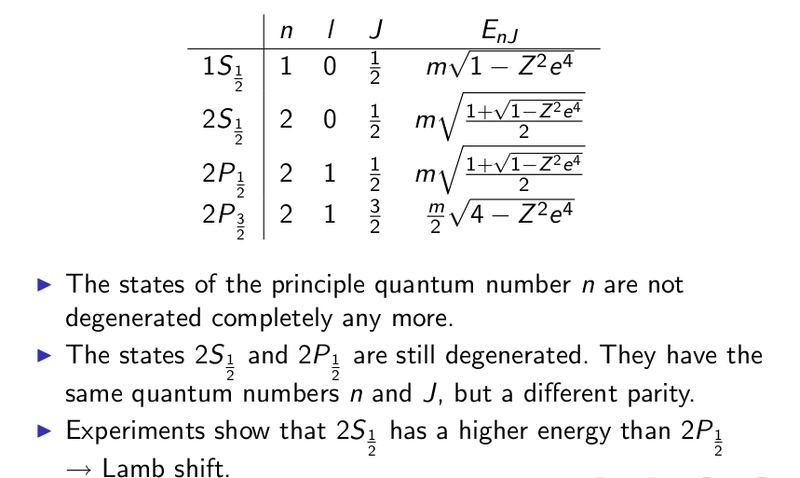 Quantum Statistics are important in Cosmology and Condensed Matter, so it is really striking that Riemann zeta values are related to phenomena like Bose-Einstein condensation or the Cosmic Microwave Background and also the yet to be found Cosmic Neutrino Background! We note that in this massless limit. Remark (I): In the massless limit, and whenever there is no degeneracy, holds. Remark (II): If there is a quantum degeneracy in the energy levels, i.e., if , we must include an extra factor of for massive particles of spin j. For massless photons with helicity, there is a degeneracy. where the minus sign corresponds to FD and the plus sign to BE. In general, for charged leptons and nucleons , for neutrinos (per species, of course), and for gluons and photons. Remember that massive particles with spin j will have . where . Moreover, there is certain isomorphism between the shift operator space and the space of functions through the map . 2nd. , , and . 3rd. , and where . with and in the case of the Abe logarithm. The primon gas/free Riemann gas is a statistical mechanics toy model illustrating in a simple way some correspondences between number theory and concepts in statistical physics, quantum mechanics, quantum field theory and dynamical systems. 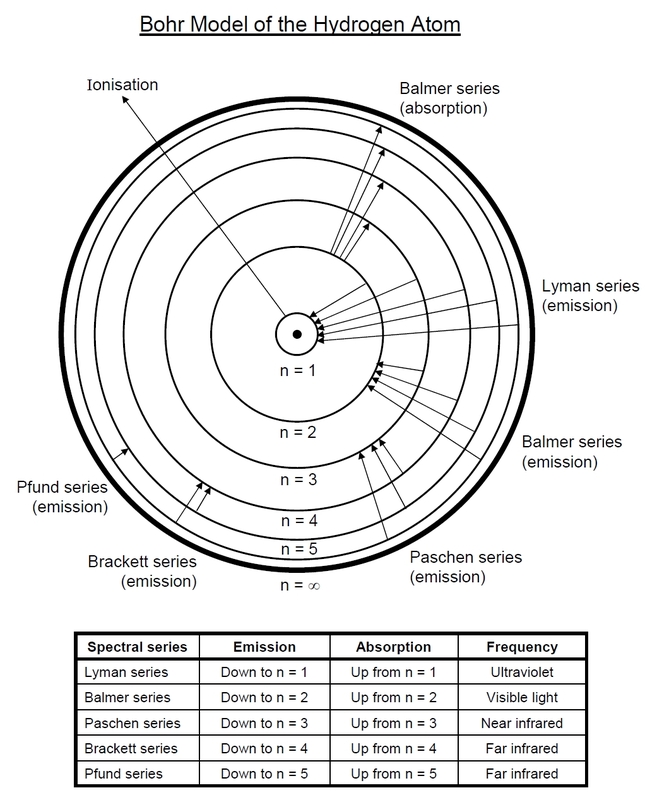 The primon gas IS a quantum field theory (QFT) of a set of non-interacting particles, called the “primons”. It is also named a gas or a free model because the particles are non-interacting. There is no potential. The idea of the primon gas was independently discovered by Donald Spector (D. Spector, Supersymmetry and the Möbius Inversion Function, Communications in Mathemtical Physics 127 (1990) pp. 239-252) and Bernard Julia (Bernard L. Julia, Statistical theory of numbers, in Number Theory and Physics, eds. J. M. Luck, P. Moussa, and M. Waldschmidt, Springer Proceedings in Physics, Vol. 47, Springer-Verlag, Berlin, 1990, pp. 276-293). 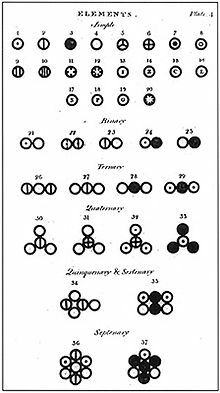 There have been later works by Bakas and Bowick (I. Bakas and M.J. Bowick, Curiosities of Arithmetic Gases, J. Math. Phys. 32 (1991) p. 1881) and Spector (D. Spector, Duality, Partial Supersymmetry, and Arithmetic Number Theory, J. Math. Phys. 39 (1998) pp.1919-1927) in which it was explored the connection of such systems to string theory. 1st. Consider a simple quantum Hamiltonian, , having eigenstates labelled by the prime numbers “p”. Please, note the natural emergence of a “free” scale of energy . What is this scale of energy? We do not know! The labelling by the integer “N” is unique, since every number has a unique factorization into primes. 4th. The statistical mechanics partition function IS, for the (bosonic) primon gas, the Riemann zeta function! This result has an amazing meaning. Two identical boson Riemann gases interacting with each other through the unitary twisting, are equivalent to mixing a fermion Riemann gas with a boson Riemann gas which do not interact with each other. Therefore, one of the original boson components suffers a transmutation/mutation into a fermion gas! Remark (I): the Möbius function, which is the identity function with respect to the operation (i.e. free mixing), reappears in supersymmetric quantum field theories as a possible representation of the operator, where F is the fermion number operator! In this context, the fact that for square-free numbers is the manifestation of the Pauli exclusion principle itself! In any QFT with fermions, is a unitary, hermitian, involutive operator where is the fermion number operator and is equal to the sum of the lepton number plus the baryon number, i.e., , for all particles in the Standard Model and some (most of) SUSY QFT. The action of this operator is to multiply bosonic states by 1 and fermionic states by -1. This is always a global internal symmetry of any QFT with fermions and corresponds to a rotation by an angle . 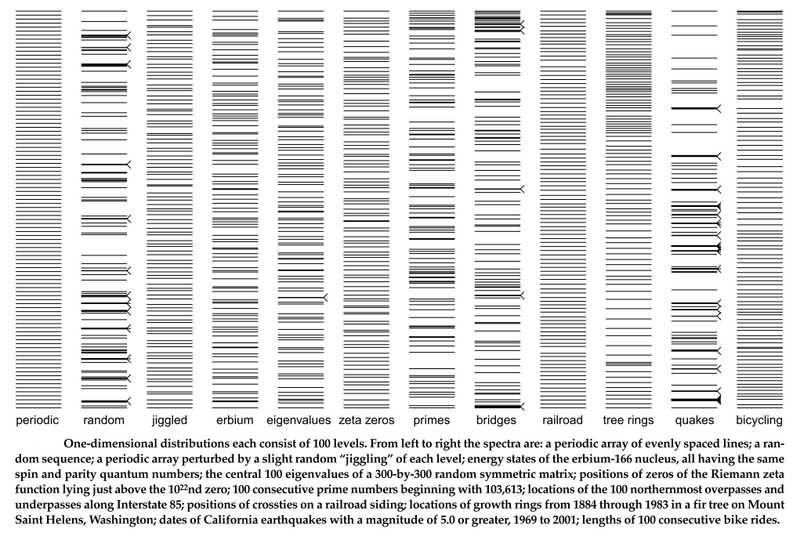 This splits the Hilbert space into two superselection sectors. Bosonic operators commute with whereas fermionic operators anticommute with it. This operator really is, therefore, more useful in supersymmetric field theories. Remark (II): potential attacks on the Riemann Hypothesis may lead to advances in physics and/or mathematics, i.e., progress in Physmatics! where n is an integer. It immediately means that this gas preserves its quantum nature at any temperature, since only one quantum state is permitted to be occupied. The number fluctuation of any state (even the ground state) is therefore zero. In contrast, the changes in the number of particles in the ground state predicted by the canonical ensemble is a smooth non-vanishing function of the temperature, while the grand-canonical ensemble still exhibits a divergence. This discrepancy between the microcanonical (combinatorial) and the other two ensembles remains even in the thermodynamic limit. 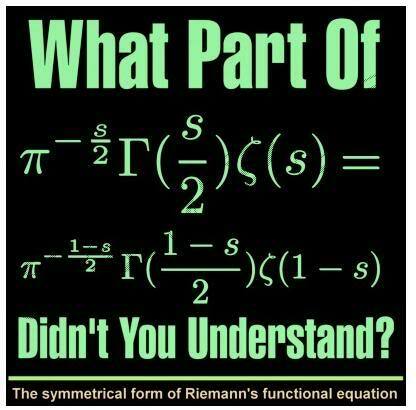 One could argue that the Riemann gas is fictitious/unreal and its spectrum is unrealisable/unphysical. 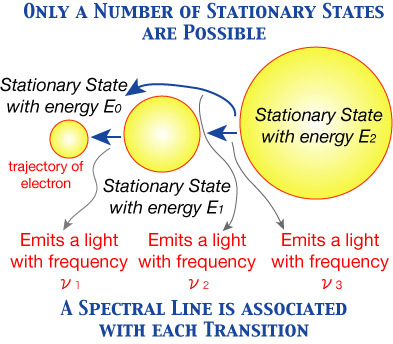 However, we, physicists, think otherwise, since the spectrum does not increase with N more rapidly than , therefore the existence of a quantum mechanical potential supporting this spectrum is possible (e.g., via inverse scattering transform or supplementary tools). And of course the question is: what kind of system has such an spectrum? Some temptative ideas for the potential based on elementary Quantum Mechanics will be given in the next section. where are prime numbers (note that if we include “1” as a prime number it gives a zero contribution to the sum). From the physical viewpoint, the positive constant means repulsive interaction (force). In summary, the logarithmic potential provides a model for the interacting Riemann gas! Massive elementary particles (with mass m) can be understood as composite particles made of confined particles moving with some energy inside a sphere of radius R. We note that we do not define futher properties of the constituent particles (e.g., if they are rotating strings, particles, extended objects like branes, or some other exotic structure moving in circular orbits or any other pattern as trajectory inside the composite particle). Remark: The shift implies that the spiral would begin with as the lowest mass and not the biggest mass, turning the spiral from inside to the outside region and vice versa. In summary, the logarithmic oscillator is also related to some kind of confined particles and it provides a toy model of confinement! Is the link between classical statistical mechanics and Riemann zeta function unique or is it something more general? 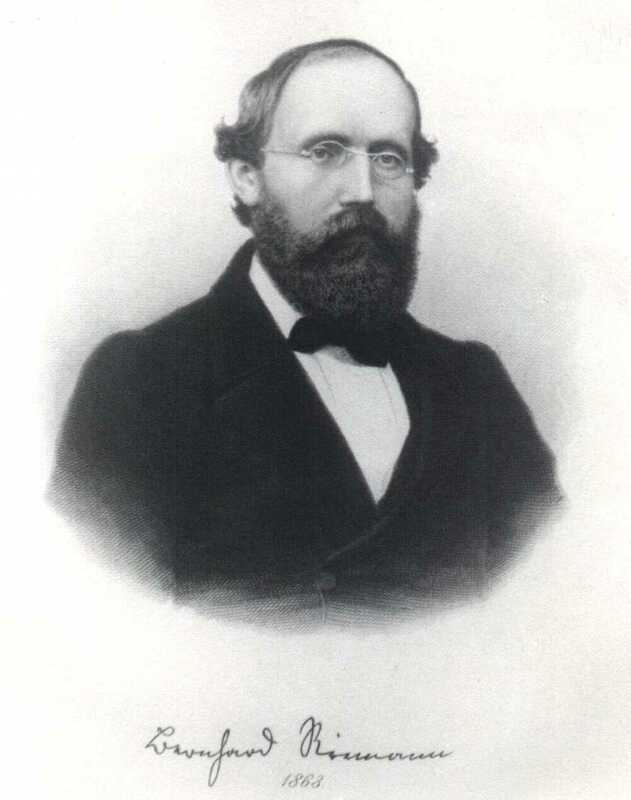 C. Tsallis explained long ago the connection of non-extensive Tsallis entropies an the Riemann zeta function, given supplementary arguments to support the idea of a physical link between Physics, Statistical Mechanics and the Riemann hypothesis. His idea is the following. , are the H.O. eigenenergies. This system can be called the Tsallis gas or the Tsallisium. It is a q-deformed version (non-extensive) of the free Riemann gas. And it is related to the harmonic oscillator! The issue, of course, is the problematic limit . Remark (I): The link between Riemann zeta function and the free Riemann gas/the interacting Riemann gas goes beyond classical statistical mechanics and it also appears in non-extensive statistical mechanics! Remark (II): In general, the Riemann hypothesis is entangled to the theory of harmonic oscillators with non-extensive statistical mechanics! For readers not familiarized with Tsallis generalized entropies, I would like to expose you the main definitions of such a generalization of classical statistical entropy (Boltzmann-Gibbs-Shannon), in a nutshell! I have to discuss more about this kind of statistical mechanics in the future, but today, I will only anticipate some bits of it. 3rd. Quantum case. Tsallis matrix density. Theoretical physicsts suspect that Physics of the spacetime at the Planck scale or beyond will change or will be meaningless. There, the spacetime notion we are familiarized to loose its meaning. Even more, we could find those changes in the fundamental structure of the Polyverse to occur a higher scales of length. Really, we don’t know yet where the spacetime “emerges” as an effective theory of something deeper, but it is a natural consequence from our current limited knowledge of fundamental physics. Indeed, it is thought that the experimental device making measurements and the experimenter can not be distinguished at Planck scale. At Planck scale, we can not know at this moment how the framework of cosmology and the Hilbert space tool of Quantum Mechanics could be obtained with some unified formalism. It is one of the challenges of Quantum Gravity. Many people and scientists think that geometry and topology of sub-Planckian lengths should not have any relation with our current geometry or topology. We say and believe that geometry, topology, fields and the main features of macroscopic bodies “emerge” from the ultra-Planckian and “subquantum” realm. It is an analogue to the colours of the rainbow emerging from the atoms or how Thermodynamics emerge from Statistical Mechanics. There are many proposed frameworks to go beyond the usual notions of space and time, but the p-adic analysis approach is a quite remarkable candidate, having several achievements in its favor. 1) Divergences of QFT are believed to be absent with such number structures. Renormalization can be found to be unnecessary. 2) In an adelic approach, where there is no prime with special status in p-adic analysis, it might be more natural and instructive to work with adeles instead a pure p-adic approach. 3) There are two paths for a p-adic/adelic QM/QFT theory. The first path considers particles in a p-adic potential well, and the goal is to find solutions with smoothly varying complex-valued wavefunctions. There, the solutions share certain kind of familiarity from ordinary life and ordinary QM. The second path allows particles in p-adic potential wells, and the goal is to find p-adic valued wavefunctions. In this case, the physical interpretation is harder. Yet the math often exhibits surprising features and properties, and some people are trying to explores those novel and striking aspects. 1) The real numbers. One completes the rationals by adding the limit of all Cauchy sequences to the set. Cauchy sequences are series of numbers whose elements can be arbitrarily close to each other as the sequence of numbers progresses. Mathematically speaking, given any small positive distance, all but a finite number of elements of the sequence are less than that given distance from each other. Real numbers satisfy the triangle inequality . Spaces where the above enhanced triangle inequality/ultrametricity arises are called ultrametric spaces. In summary, there exist two different types of algebraic number systems. There is no other posible norm beyond the real (absolute) norm or the p-adic norm. It is the power of Mathematics in action. Then, a question follows inmediately. How can we unify such two different notions of norm, distance and type of numbers. After all, they behave in a very different way. Tryingo to answer this questions is how the concept adele emerges. The ring of adeles is a framework where we consider all those different patterns to happen at equal footing, in a same mathematical language. In fact, it is analogue to the way in which we unify space and time in relativistic theories! and where is a nonzero rational number. Beyond complex QM, where we can study the particle in a box or in a ring array of atoms, p-adic QM can be used to handle fractal potential wells as well. Indeed, the analogue Schrödinger equation can be solved and it has been useful, for instance, in the design of microchips and self-similar structures. It has been conjectured by Wu and Sprung, Hutchinson and van Zyl,here http://arXiv.org/abs/nlin/0304038v1 , that the potential constructed from the non-trivial Riemann zeroes and prime number sequences has fractal properties. They have suggested that for the Riemann zeroes and for the prime numbers. Therefore, p-adic numbers are an excellent method for constructing fractal potential wells. where U is the time-development operator, are adelic eigenfunctions, and is the adelic energy. Here the notation has been simplified by using the subscript , which stands for all primes including the prime at infinity. One notices the additive character which allows these to be complex-valued integrals. The path integral can be generalized to p-adic time as well, i.e., to paths with fractal behaviour! and from this the functional equation for the Riemann zeta function naturally emerges. In conclusion: it is fascinating that such simple physical system as the (adelic) harmonic oscillator is related to so significant mathematical object as the Riemann zeta function. Using this formula, we can compute and calculate the four-point amplitudes/interacting vertices at the tree level exactly, as the inverse of the much simpler p-adic amplitudes. 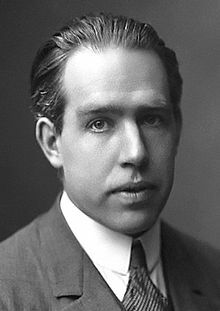 This discovery has generated a quite a bit of activity in string theory, somewhat unknown, although it is not very popular as far as I know. Moreover, the whole landscape of the p-adic/adelic framework is not as easy for the closed bosonic string as the open bosonic strings (note that in a p-adic world, there is no “closure” but “clopen” segments instead of naive closed intervals). It has also been a source of controversy what is the role of the p-adic/adelic stuff at the level of the string worldsheet. However, there is some reasearch along these lines at current time. Remark: I do know that I should have likely said “the cosmological constant problem”. But as it should be solved in the future, we can see the cosmological constant we observe ( very, very smaller than our current QFT calculations say) as “an effect” or “anomaly” to be explained. We know that the cosmological constant drives the current positive acceleration of the Universe, but it is really tiny. What makes it so small? We don’ t know for sure. I have explained why I chose The Spectrum of Riemannium as my blog name here and I used the (partial) answer to explain you some of the multiple connections and links of the Riemann zeta function (and its generalizations) with Mathematics and Physics. I am sure that solving the Riemann Hypothesis will require to answer the question of what is the vibrating system behind the spectral properties of Riemann zeroes. It is important for Physmatics! I would say more, it is capital to theoretical physics as well. 1) Riemann zeta values appear in atomic Physics and Statistical Physics. 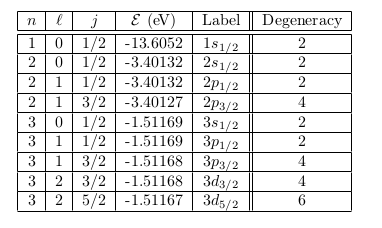 2) The Riemannium has spectral properties similar to those of Random Matrix Theory. 3) The Hilbert-Polya conjecture states that there is some mysterious hamiltonian providing the zeroes. The Berry-Keating conjecture states that the “quantum” hamiltonian corresponding to the Riemann hypothesis is the corresponding or dual hamiltonian to a (semi)classical hamiltonian providing a classically chaotic dynamics. 4) The logarithmic potential provides a realization of certain kind of spectrum asymptotically similar to that of the free Riemann gas. It is also related to the issue of confinement of “fundamental” constituents inside “elementary” particles. 5) The primon gas is the Riemann gas associated to the prime numbers in a (Quantum) Statistical Mechanics approach. There are bosonic, fermionic and parafermionic/parabosonic versions of the free Riemann gas and some other generalizations using the Beurling gas and other tools from number theory. 6) The non-extensive Statistical Mechanics studied by C. Tsallis (and other people) provides a link between the harmonic oscillator and the Riemann hypothesis as well. The Tsallisium is the physical system obtained when we study the harmonic oscillator with a non-extensive Tsallis approach. 7) An adelic approach to QM and the harmonic oscillator produces the Riemann’s zeta function functional equation via the Tate formula. The link with p-adic numbers and p-adic zeta functions reveals certain fractal patterns in the Riemann zeroes, the prime numbers and the theory behind it. The periodicity or quasiperiodicity also relates it with some kind of (quasi)crystal and maybe it could be used to explain some behaviour or the prime numbers, such as the one behind the Goldbach’s conjecture. 8) A link between entropy, information theory and Riemann zeta function is done through the use of the notion of group entropy. Connections between the Veneziano amplitudes, tachyons, p-adic numbers and string theory arise after the Veneziano amplitude in a natural way. 9) Riemann zeta function also is used in the regularization/definition of infinite determinants arising in the theory of differential operators and similar maps. Even the generalization of this framework is important in number theory through the uses of generalizations of the Riemann zeta function and other arithmetical functions similar to it. Riemann zeta function is, thus, one of the simplest examples of arithmetical functions. 10) There are further links of the Riemann zeta function and “vacuum effects” like the Schwinger effect ( pair creating in strong fields) or the Casimir effect ( repulsive/atractive forces between close objects with “nothing” between them). Riemann zeta function is also related to SUSY somehow, either by the striking similarity between the Dirichlet eta function used in Fermi-Dirac statistics or directly with the explicit relationship between the Möbius function and the operator appearing in supersymmetric field theories. In summary, Riemann zeta function is ubiquitious and it appears alone or with its generalizations in very different fields: number theory, quantum physics, (semi)classical physics/dynamics, (quantum) chaos theory, information theory, QFT, string theory, statistical physics, fractals, quasicrystals, operator theory, renormalization and many other places. Is it an accident or is it telling us something more important? I think so. Zeta functions are fundamental objects for the future of Physmatics and the solution of Riemann Hypothesis, perhaps, would provide such a guide into the ultimate quest of both Physics and Mathematics (Physmatics) likely providing a complete and consistent description of the whole Polyverse. A) What is the Riemann zeta function? What is the riemannium/tsallisium and what kind of physical system do they represent really? What is the physical system behind the Riemann non-trivial zeroes? What does it mean for the Riemann zeroes arising from the Riemann zeta function generalizations in form of L-functions? B) What is the Riemann-Hilbert-Polya operator? What is the space over the Riemann operator is acting? C) Are Riemann zeta function and its generalization everywhere as they seem to be inside the deepest structures of the microscopic/macroscopic entities of the Polyverse? I suppose you will now understand better why I decided to name my blog as The Spectrum of Riemannium…And there are many other reasons I will not write you here since I could reveal my current research. Physmatics is out there and everywhere, like fractals, zeta functions and it is full of lots of wonderful mathematical structures and simple principles! Example 1. 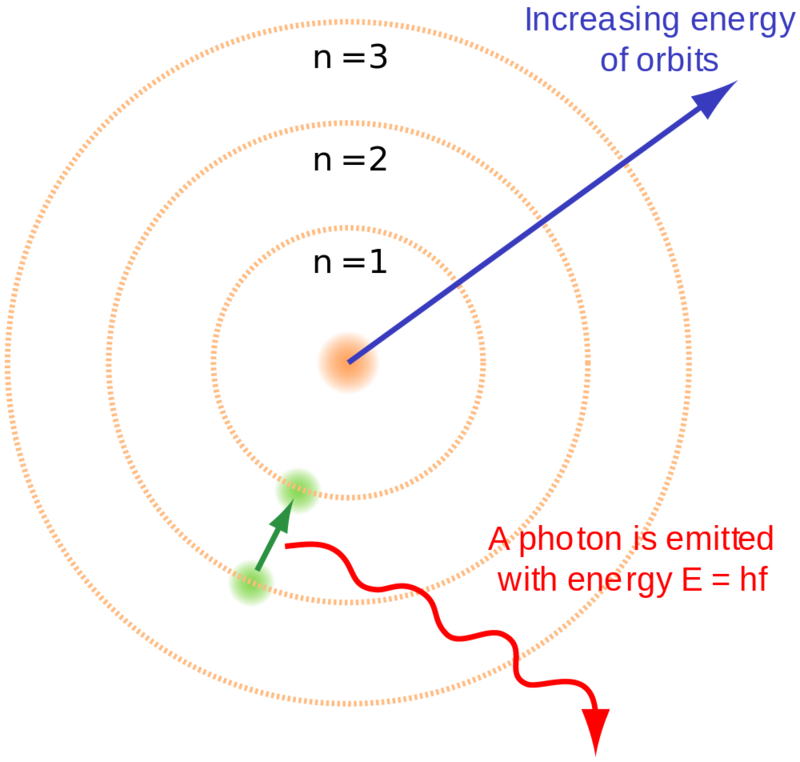 Absorption of a photon by an atom. 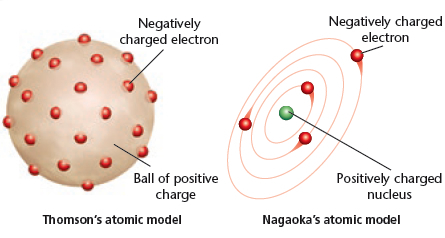 Description: an atom “a” at rest with mass absorbs a photon “b” propagating in the x-direction turning itself into an excited atom “c”, moving in the x-axis (suffering a “recoil” after the photon hits it). where we have used in the last step . Example 2. 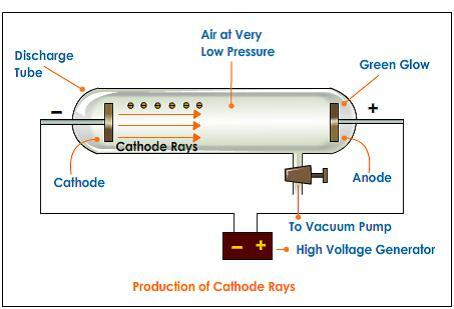 Emission of a photon by an atom. An atom c at rest, with the rest mass, emits a photon b with frequency in the x-direction, turning itself into a non-excited atom “a”, with . What is the energy shift ? is in the rest frame of “a”. Note: the photon’s energy IS NOT equal to the difference of the atomic rest energies but it is less than that due to the emission process. 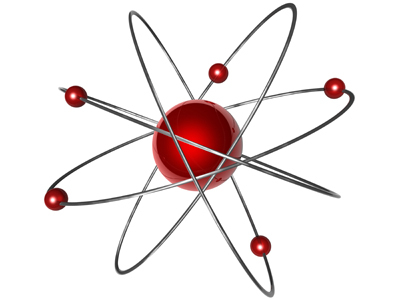 This fact implies that the atom experieces “recoil”, and it gains kinetic energy at the expense of the photon. There is a good chance for the photon not to be absorbed by an atom of some kind. However, “resonance absorption” becomes problematic. 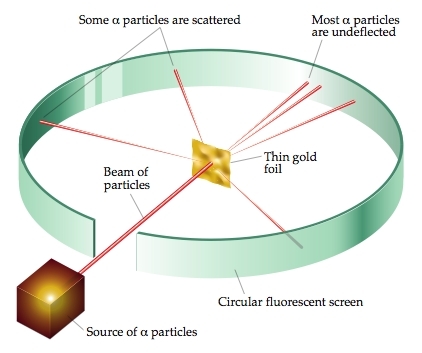 The condition for recoilless resonant absorption to occur nonetheless, e.g., the reabsorption of gamma ray photons by nuclei of the some kind were investigated by Mössbauer. The so-called Mössbauer effect has been important not only to atomic physics but also to verify the theory of general relativity. Furthermore, it is used in materials reseach in present time as well. In 1958, Rudolf L. Mössbauer reported the 1st reoilless gamma emission. It provided him the Nobel Prize in 1961. Example 3. Decay of two particles at rest. The particle C decays into A and B. 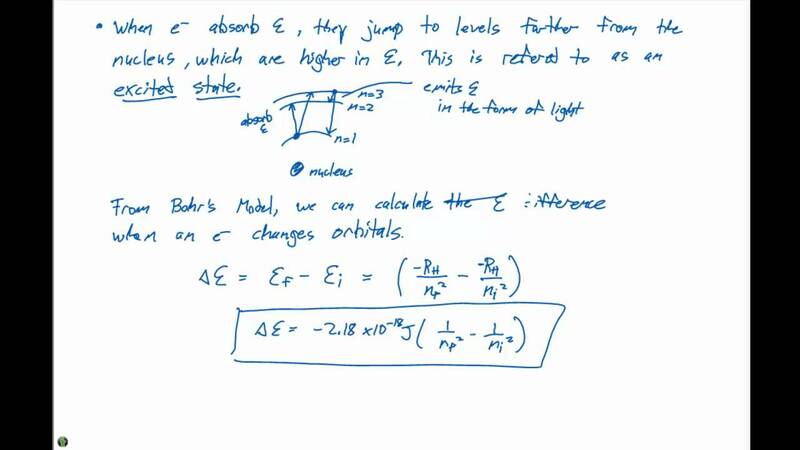 It is the inverse process of the completely inelastic collision we studied in a previous example. 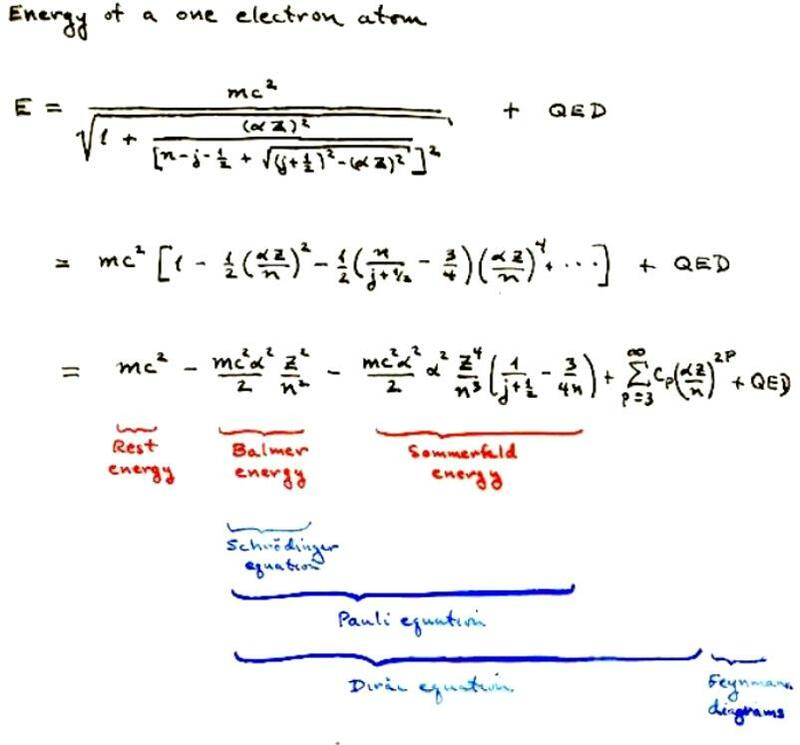 Therefore, the total kinetic energy of the two particles A,B is equal to the mass defect in the decay of the particle. Example 4. Pair production by a photon. Suppose the reaction , in which a single photon ( )decays into a positron-electron pair. Example 5. 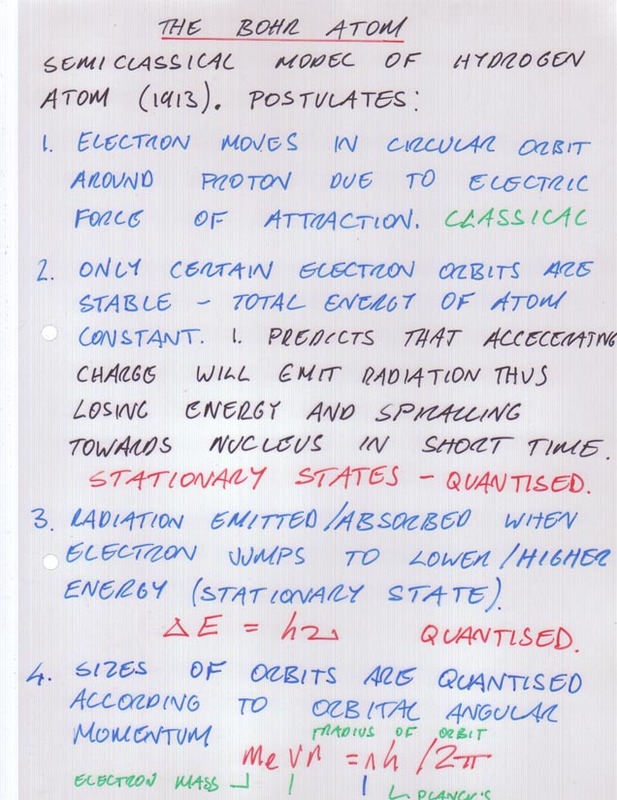 Pair annihilation of an electron-positron couple.